Dimensions 7.10 by 9.40 by 1.30 in. 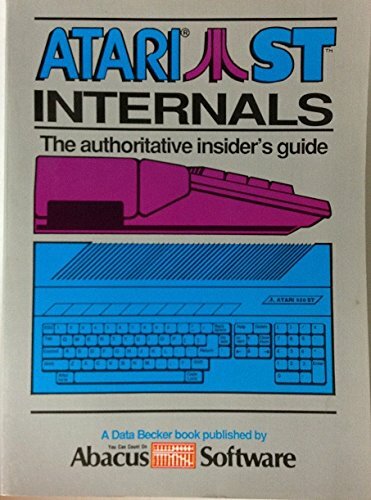 Amazon.com description: Product Description: This Internals volume is a welcome addition to any ST programmer's library. Inside you'll find important hardware and programming information for your ST. Contains valuable information for the professional programmer and ST novice. Here is a short list of some of the things you can expect to read about: 68000 processor, WD 1772 disk controller, ACIA's 6850, Centronics interface, MIDI-interface, GEMDOS, Interrupt instructions, BIOS listing, Custom chips, MFP 68901, RS-232, DMA controller, BIOS & XBIOS, Error codes, and much more.